11 others injure­d in the blast, which took place in a madras­sah. KARACHI: A blast in Karachi’s Orangi Town left three children dead and injured 11 others, Express News reported on Monday. 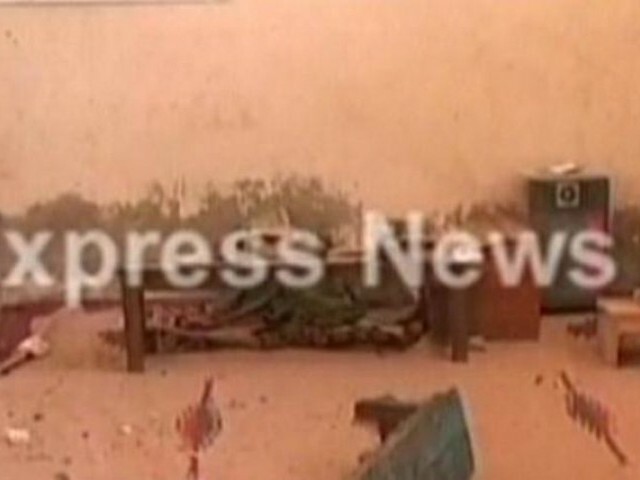 The explosion reportedly took place in a madrassah in Frontier Colony. 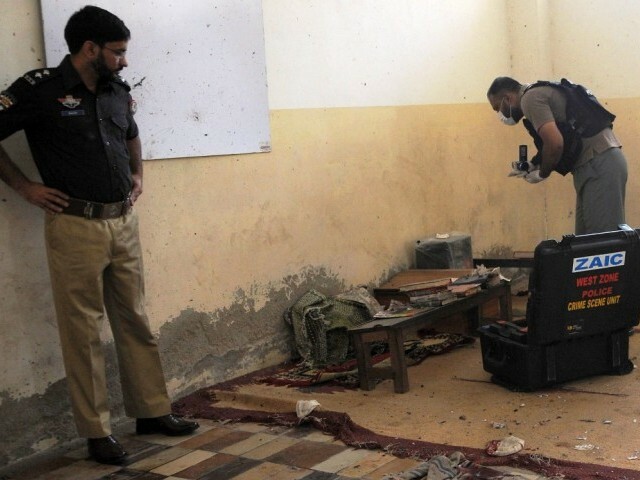 Police said that the blast took place in one of the rooms of the madrassah. 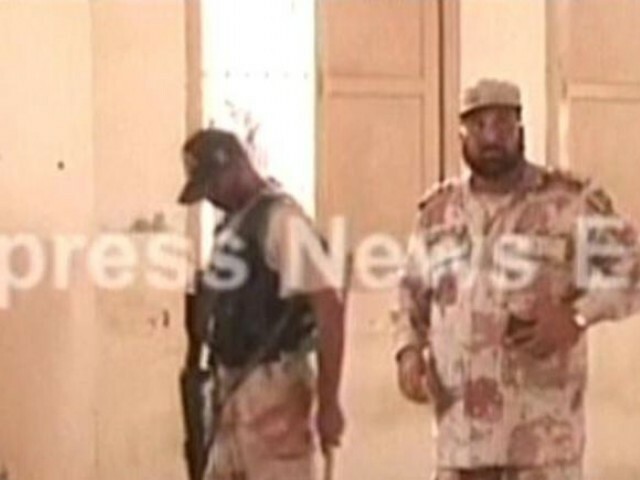 According to initials details, it seems that the madrassah was the target of the attack, police said. 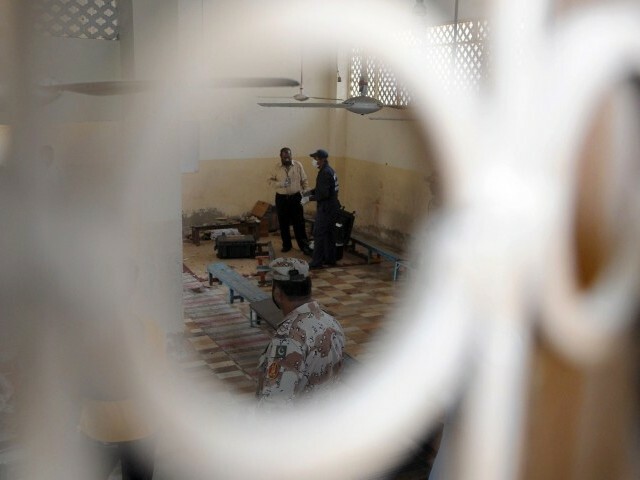 “The explosion, which targeted a religious seminary, killed at least three male students,” a senior local police official, Javed Alam Odho told AFP. He said the police were trying to ascertain whether it was a planted bomb or a hand grenade that had been thrown. Rescue teams reached the area and the injured were taken to Abbasi Shaheed Hospital for medical treatment. A senior doctor at the Abbasi Shaheed hospital, Parshotum Rathore, confirmed the number of deaths and said those who died in the attack were between 10 and 12-years-old. He put the number of injured at more than 12 and said the condition of four of those hurt was critical. A police official told the media that there were between 15 and 20 children present in the madrassah at the time of the explosion. He added that the all the children were between seven and 14 years of age. Police reached the site of the explosion and cordoned off the area. Evidence was collected from blast site and the Bomb Disposal Squad was also summoned. Nobody has so far claimed responsibility for the attack. Explosive material weighing 8 to 10kgs was used, while timed IED device was planted in a rickshaw. A tank at the manufacturing unit of a multinational soft drink company was damaged in a low-intensity blast. YAWN! Such events (though tragic) are happening so frequently that they’re fast becoming a routine. And days on which such events don’t occur, a rarity. so far 3 dead, 11 injured. May Allah save all of us. Ohhh……..3 children dead. What was their mistake????? will we be able to see peace in our city and country in our lifetime??? @Naseer-uddin Hamayun: you wouldn’t be yawning if your family members were amongst the dead. we should never be apathetic towards such events! @Naseer-uddin Hamayun: YAWN?!?!?!? Dude, thats the most despicable reaction to a such a news story that I have every witnessed. I agree such events are becoming routine, but still that does not give one to publicly react to it in such a despicable way. YAWN? Do you have any sense of what’s proper to say at the death of three children? It is because of people like you that we have become so desensitized to horrific violence. Go hide in your hole somewhere if you have given up on the world. Why Karachi ? there has to be some plan … some scheme … some evil “neighboring” country getting this done for ulterior motives … Why ? Why Karachi … think people !!! He can’t do anything other than being apathetic He doesn’t have any power to stop all these killings or force the government.and military establishment to take a stand for people. So basically, if you are powerless and can’t help the society, then there’s no point but to be apathetic. yawn…….such apathy ? if there were any of your’s relative? 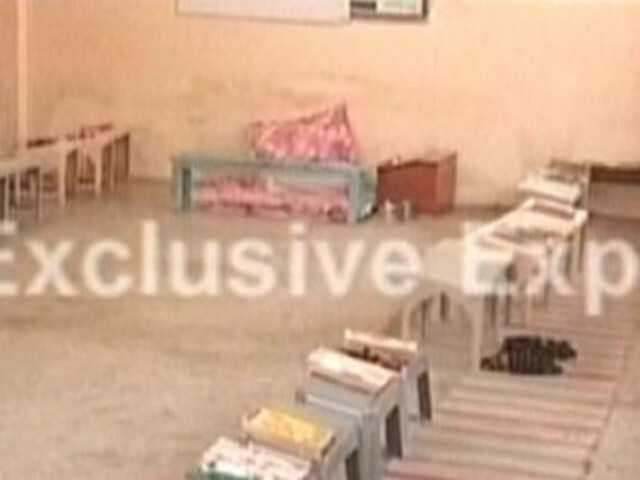 Which type of school it is, which in place of providing mordern education to its student making them terrorists.. Words cannot describe the brutal and barbaric nature of this attack. It brings great sadness to read that the terrorists were targeting children with this attack. It is difficult to imagine how the parents are feeling at the moment. Our heart and prayers are with the families and friends of those who are affected by this attack. We sincerely hope that they will find the strength to deal with this tragedy. We also hope and pray to see the critically injured make a quick and full recovery. We stand by the nation of Pakistan during this difficult time, and fully support the government of Pakistan in their efforts to negate the threat of terrorism from the country. Planted or thrown? I dont think so…maybe provided by the imam of the madarsaa to train the youth for future leadership roles. It is sad that we are confronted with terrorism. Every where in world, when terror groups have stuck people, the Government has to clearly define the anti terror policy and amended the laws accordingly. We are still living under the East India Company model of police service structure. We have failed to reform Police or raise dedicated anti terror organization to flight back with these groups. Young and educated youth of Karachi, having BBA and MBA or law degrees are required to be directly inducted in Police as Inspectors and DSP to own this public service organization. Then all ranks of Police must be residents of the locality which they are supposed to be supervising. These are basics of policing in any developed and non-abusive police organization. Do it and you will see the results. The era of personality cult as well as cheap publicity is over and will not work anymore.